Products - Inflatable Bounce Slide Combos - Best Price Children 5 in 1 Princess Castle Slide Bounce House BY-IC-004 - Guangzhou Barry Industrial Co., Ltd. Welcome to the Cinderella Castle. 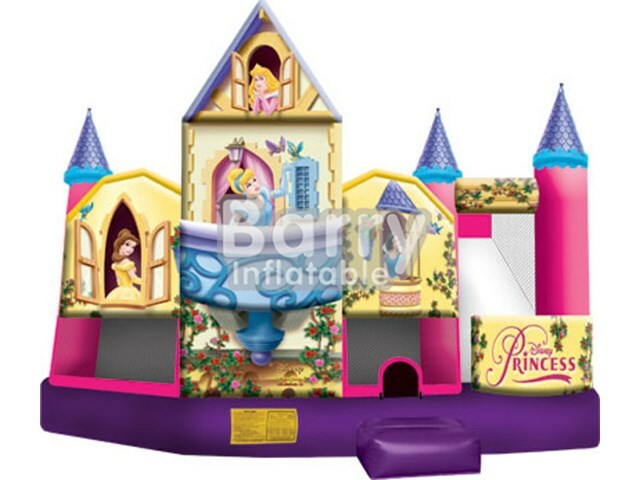 This is a pink color princess bouncy castle combo for children. Combines the bounce house, inflatable slide, climb wall and some pop-ups. Children play games inside this inflatable bouncy castle with friends, just like they are playing in the Disneyland. Besides, the pink color and princess theme will attract more attentions of little boys and girls. Children will more prefer to have fun with this adorable bouncy castle rather than other common inflatable jump houses.